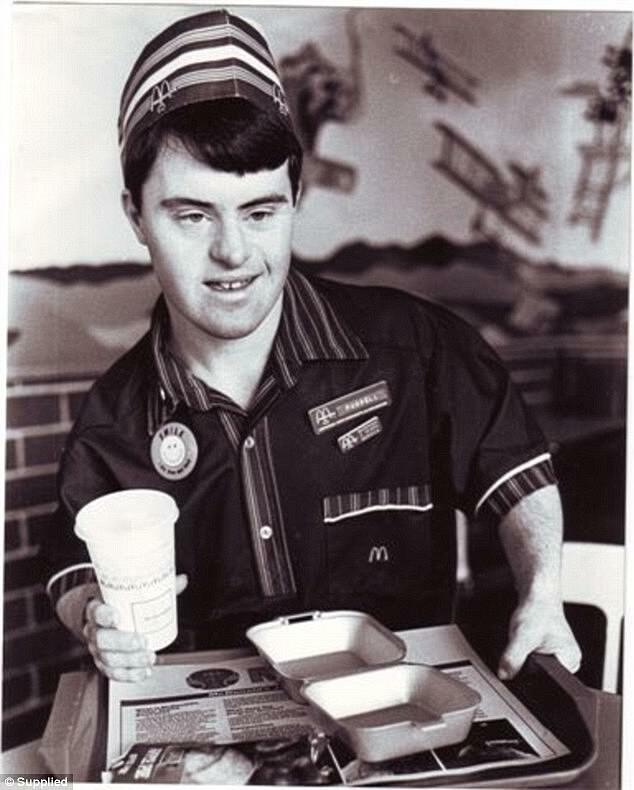 A McDonald's worker with Down syndrome who has become an icon at his local fast food restaurant will hang up his apron after 32 years. 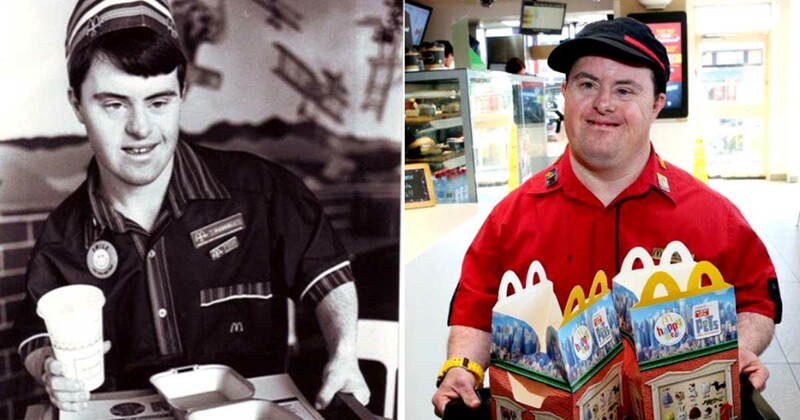 Russell O'Grady first donned the chain's uniform in 1986 as an 18-year-old - and quickly became a popular employee at Northmead McDonald's in Sydney's West. He was often seen cleaning tables and greeting customers, who have dubbed him the 'best-known person in Northmead'. 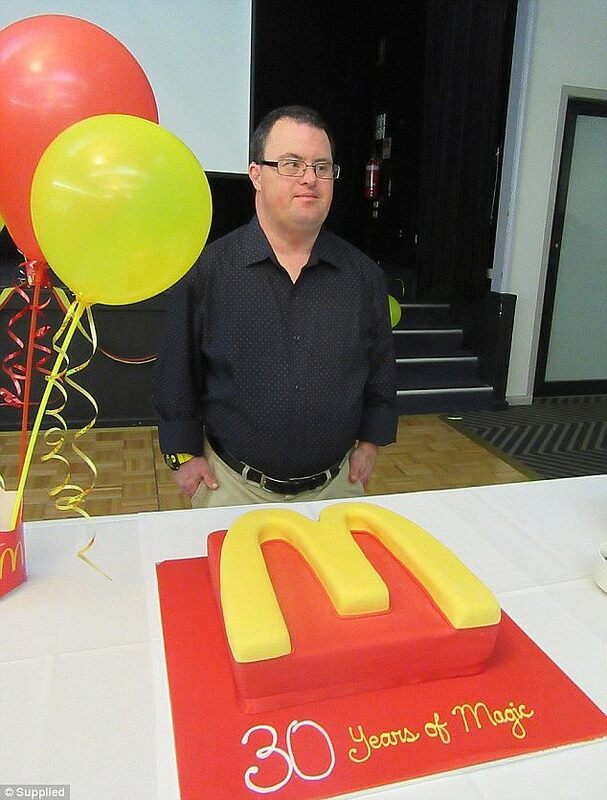 McDonald's supervisor Courtney Purcell said Mr O'Grady has become an icon in Northmead. 'We've got regular customers who come in to see Russell on Thursday and Friday, and the staff look after him, so we're going to miss him,' she said. Mr O'Grady's brother Lindsey told the paper his dedication to work had made his family incredibly proud. 'He's kind of blase about it but loves his work very much. He's pretty cheeky sometimes. He's my big brother and he keeps me in line,' he said. The beloved employee's father, Geoff O'Grady, previously told Daily Mail Australia people used to stop his son on the street to shake his hand. Geoff said his son's career has given him a different outlook on life. 'Somebody said to him ''are you handicapped?'' and his answer was ''I used to be when I went to school, but now I work at McDonald's'',' he said. Mr O'Grady began his job at the local restaurant during a time when people with disabilities were seldom in the workforce. His career began with work experience, but when he showed how hard he worked he moved into a secure job with McDonald's packing party boxes. After a lot of contemplation, Mr O'Grady came to the conclusion retirement was the best decision for his health. He's an avid tenpin bowler and spends lots of his time at Northmead Bowling Club, the men's shed at Richmond, where he'll be spending lots of his free time.